Today we spent most of our time with John Hardy and exploring architecture. John gave us a warm up by sending us to two workshops in Ubud on the way to his office. The first was to Gaya Ceramic. This shop produced wonderful clay pieces – both artistic and commercial. The Italian founder, Marcelo Massoni, had commissions from Bulgari, Donna Karan, and a variety of other fashion brands. Their gift shop showed off some of their artisans, and then a school across the street gave 3 month courses on pottery. Beth has some great photos on the workshop, but I was taken with this way of organizing a collection: vision piece on the outside of the cabinet and developing designs behind. 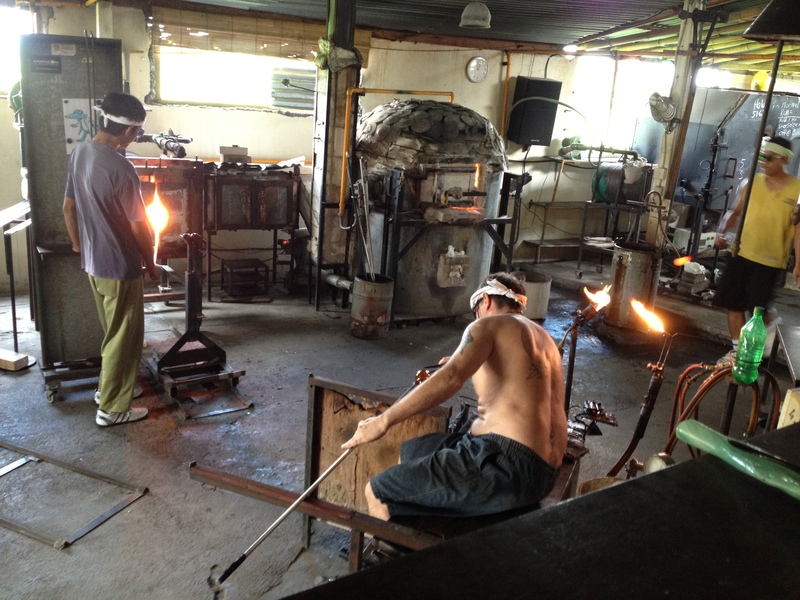 Next we went to Horizon Glassworks, which is led by another ex-pat, Ron Seivertson from California. The same model applied, fine art, prestigious commissions, and glass blowing classes. 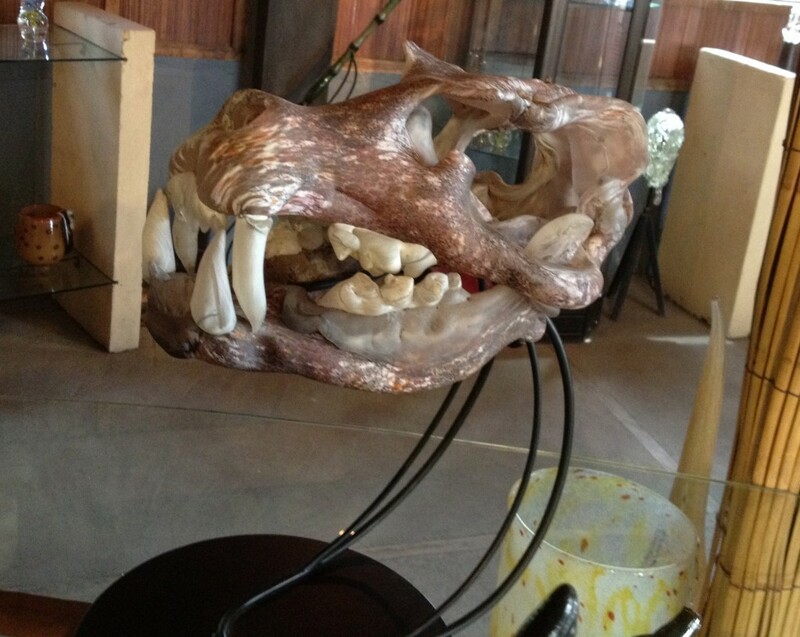 We were particular taken by one of Ron’s collaborations with an archaeologist to produce a glass Java Tiger Skull – done by hot drawing method. 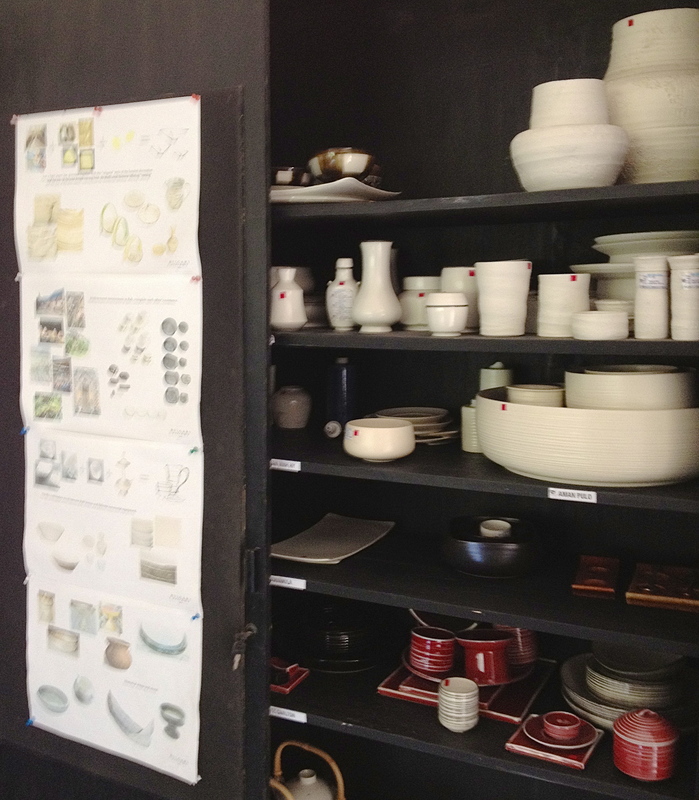 Beth has a more detailed post on how we compared & contrasted these shops to Penland in NC. This entry was posted in Creative Culture, Eisenhower, Indonesia and tagged Antonio Blanco, art, Bali, ceramic, expat, Gaya Ceramic, glass, Horizon Glassworks, John Hardy, Marcelo Massoni, Penland, Ron Seivertson, Ubud, workshops on July 11, 2012 by aly.